Today we have our Intel Core i3-8100 benchmarks and review. Over the years, Intel has allowed the Core i3 models to fill the role as low-cost server CPUs for the edge. Unlike most of the Core i5 and Core i7 models, one can get unbuffered ECC DIMM support in the Core i3 series. Many server vendors such as Dell EMC, Lenovo, and Supermicro make workgroup servers or small tower servers that utilize these Core i3 CPUs in base configurations. If you read our Intel Core i3-8300 review you will see that this series started as a different activity. 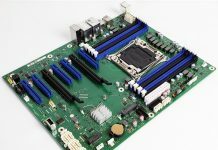 We were trying to accelerate our Supermicro X11SCA-F Review and the Intel Xeon E-2100 chips were not yet available from US distributors. 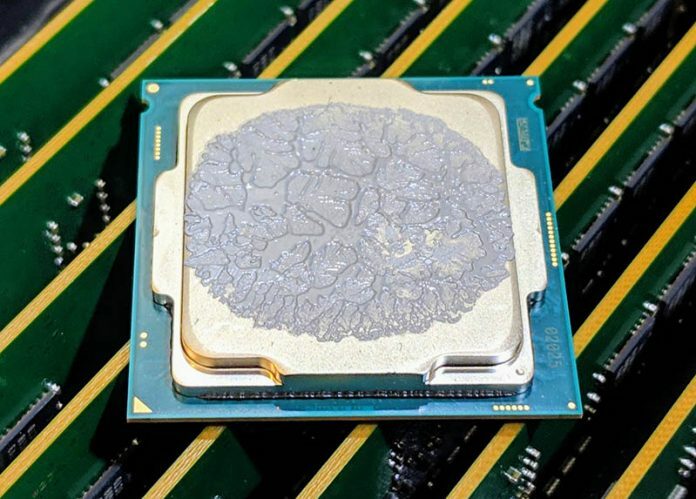 After we purchased the Intel Core i3-8300 intending to simply use it as a “light the platform” bridge, we realized that it has its own unique value proposition. That was a sample size of one SKU and we had requests to review other processors in the socket so we are adding the Intel Core i3-8100 to the mix. You will also see a few numbers for upcoming Intel Xeon E-2100 series reviews in this article even though those chips were not available at the time of the last review. Key stats for the Intel Core i3-8100: 4 cores / 4 threads and 3.6GHz with 6MB cache. You read that right. The base clock is 3.7GHz, but it does not feature Turbo boost nor Hyper-Threading. The CPU features a 65W TDP. Compared to the Core i3-8300 this is 100MHz slower, with 25% less cache and a 3W TDP boost. This is a $117 price point which is fairly low on the overall spectrum of CPUs these days and less costly than the i3-8300. Here is the ARK page with the feature set. 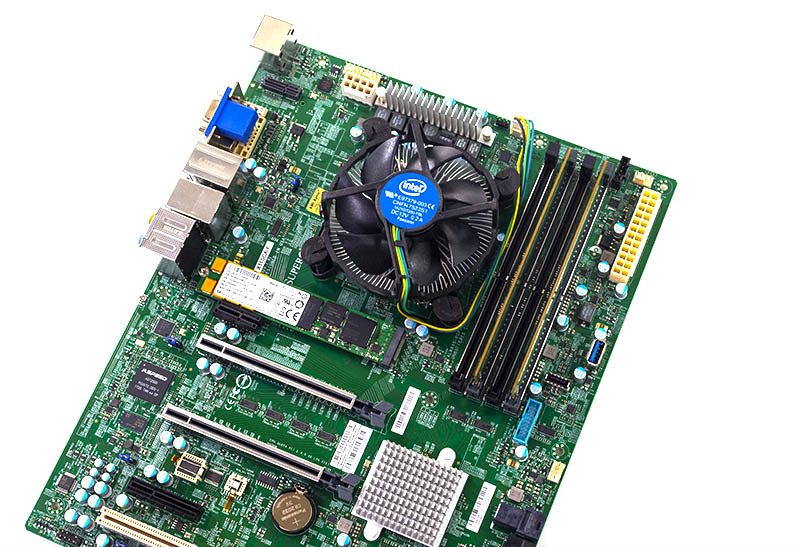 Compared to other CPUs in this price range, the Intel Core i3 can work in Intel Xeon E-2100 platforms, while at the same time offering high clock speeds at a low cost. The CPU itself supports up to 64GB of RAM, in a 4x 16GB configuration, however, we see these platforms using 32GB or less given cost sensitivities. Our test system booted immediately with the Intel Core i3-8100 which was a great feature. This was a case where everything simply “just worked” in the platform, even using a non-Xeon CPU. Next, we are going to take a look at our Intel Core i3-8100 benchmarks, we are then going to focus on power consumption then conclude with our final words on the processors. Any idea if these chips will run VMware and if they support lower EVC levels? I might like to add one of these to my homelab, which has a pair of Haswell-generation E3-based ESXi servers, but I’m not sure if the i3-8100/8300 would play nicely with them. VMware’s compatibility chart doesn’t have any 8th gen CPUs on it yet as far as I can see – not even the E-2100 CPUs. Not sure about EVC but I did manage to setup ESXi (free) 6.7 on an i3-8100 + Gigabyte H370N-WiFi mobo without any major issues. ESXi picks up the i211 NIC on the board but not the i219 though. I use AMD processors with unbuffered ECC memory. I have used the Phenon II 940 with an Asus motherboard which supports ECC. More recently, I got a AMD FX-8320E and an Asus motherboard. This is a much cheaper and more flexible solution than a few i3 processors that Intel allows to support ECC. i3-8100 costs more up-front, but will last longer & consume less power [which is expensive in CommunistFornia]. Granted, motherboard options could be better. What, no 10GBe? I paid $50 for my FX-8320E with an Asus motherboard last black friday from microcenter, new with warranty. All AMD processors that I know of, other than the A series support ECC. As for used processors, last month I bought two xeon L5640’s on ebay for $20 shipped. Certainly a much better deal than the i3, and only 50w TDP each. I am sure the motherboards for the L5640 are a bit less power efficient than newer motherboards. Again, 8320e IS interesting from a value perspective. Keep in mind “ECC support” there means you can put ECC memory in and it’ll work, but does NOT necessarily mean if there’s an error then an exception gets thrown [which kind of defeats the whole purpose]. that’s pretty damn good 8) In fact, the value proposition here is absurdly better. Would have to add 10GBe NIC, but still…. The 3 asus motherboards I have do not log ECC errors, so it is unclear how much ECC support they have. My supermicro and old intel server motherboards *do* log ECC errors. The article states that the i3-8100 idles at around 32 watts with a maximum power consumption of 88 watts. Is the power consumption for the whole system or just the cpu?